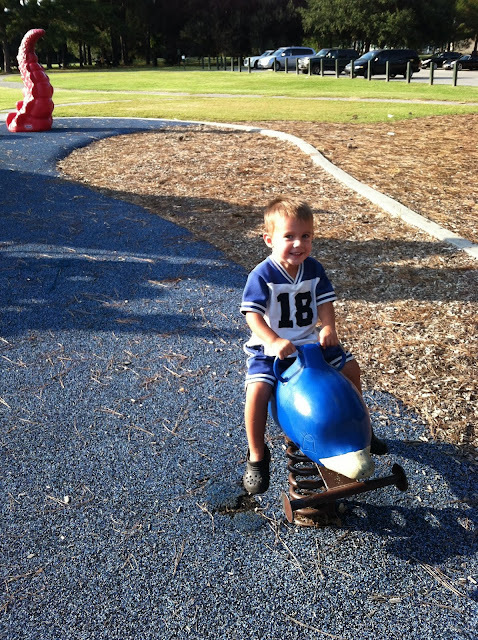 One of my favorite things to do with our boys is take them to parks. Luke absolutely loves everything about the park, and it's fun to see him make new friends so easily. And an added perk is that many parks here sit next to the water, so parents get to enjoy the harbor views while the kids play. 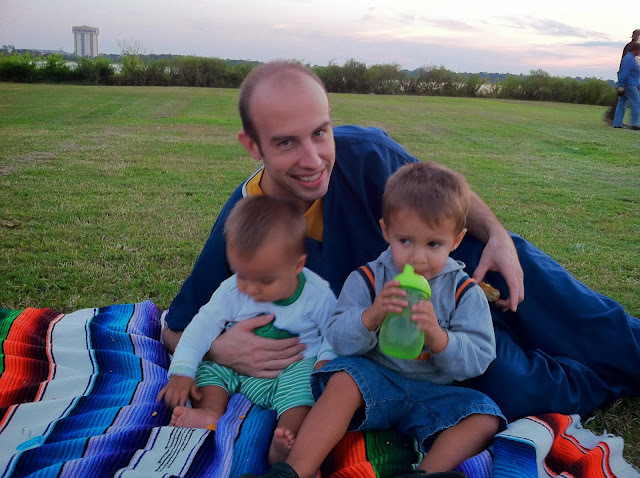 Daddy recently walked from work to a nearby park where we picnicked for dinner. This lasted for about 5 minutes, as the mosquitoes soon discovered us! Serious motivation to take the boys to the park! We live by many historic plantations, and one is only blocks from our house. If we don't go to the park, we usually stroll down to this plantation. 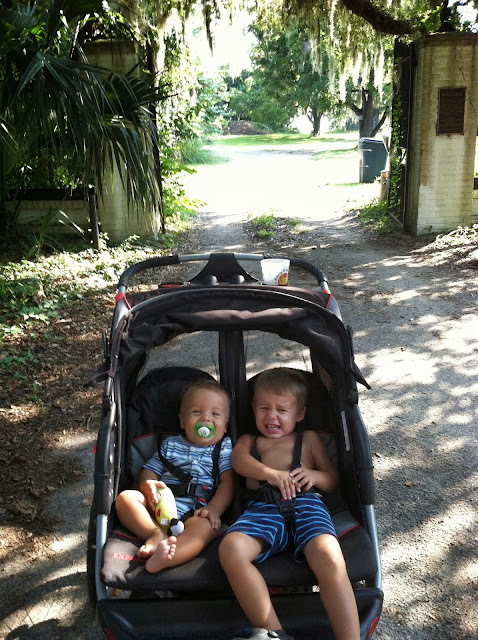 Behind them is the oldest home west of the Ashley River.